The dream has been realised. You are loving your weekly game of sport and don't want the good times to stop. We've got good news for you, they don't have to! Almost all of our competitions run year round, so when one season finishes another one will start within a week or two. We know making new friends isn't always easy, so once you have we want to help you keep them. Team subscriptions make this simple, everyone that would like to continue playing in the same team is guaranteed to be kept in the same team and with all of the same teammates that continue playing. 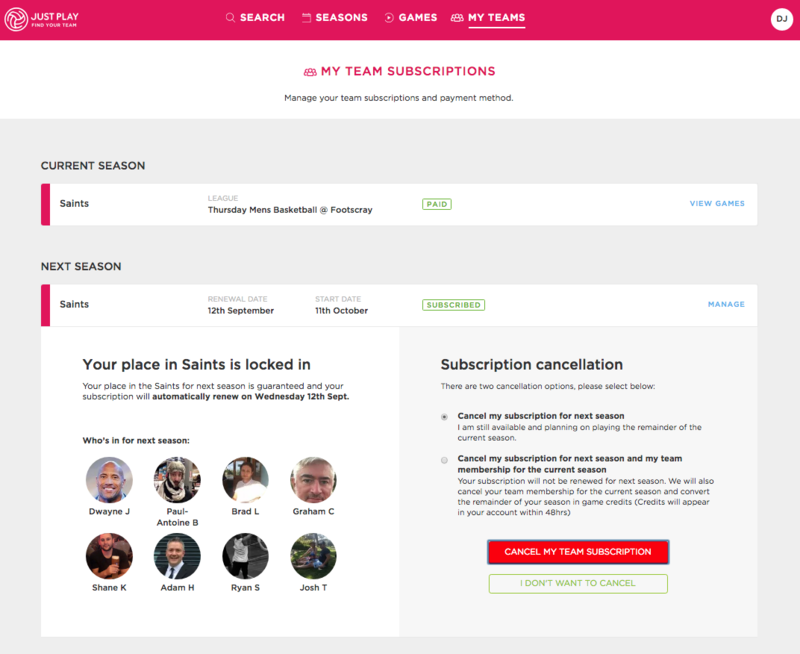 Once you have been placed in a team and your season is underway we will be in touch to let you know details for next season and how our team subscriptions work. To make your life easy, we give you full control over your place in your team. By default all players that are members of a team are subscribed to the team for next season. This guarantees your place in the team ongoing and gives you the ability to simply opt-out if you don't want to continue. 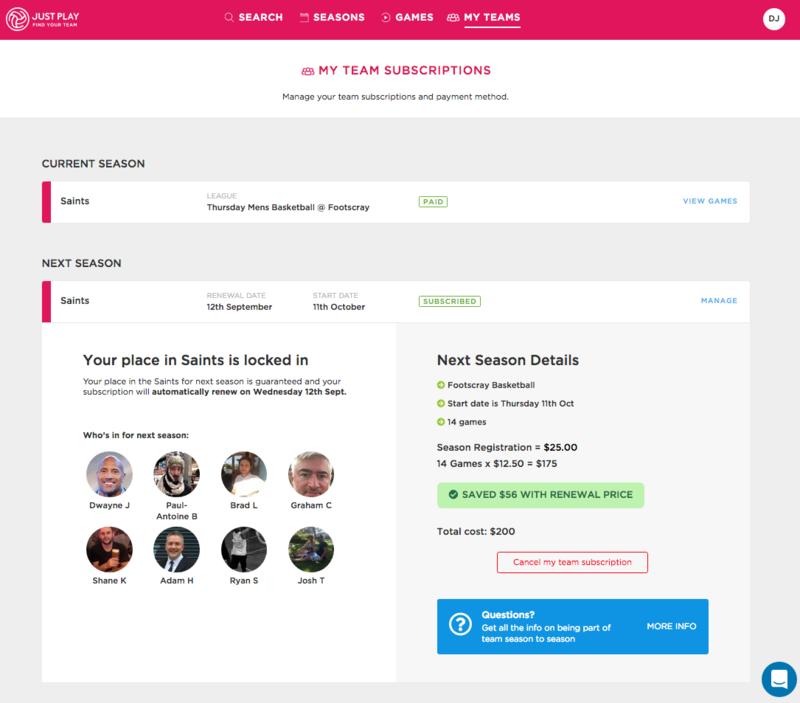 Once you hit 'Manage' the full next season details will display, including who from your team is continuing, season costs and dates etc. Once your season has started you will be able to view this information in the 'My Teams' section of your dashboard. We will also send you an email about next season as well as another email and SMS reminder in the 7 days leading up to your subscription being charged. If you can no longer play you can also swap your remaining season games in to casual games. 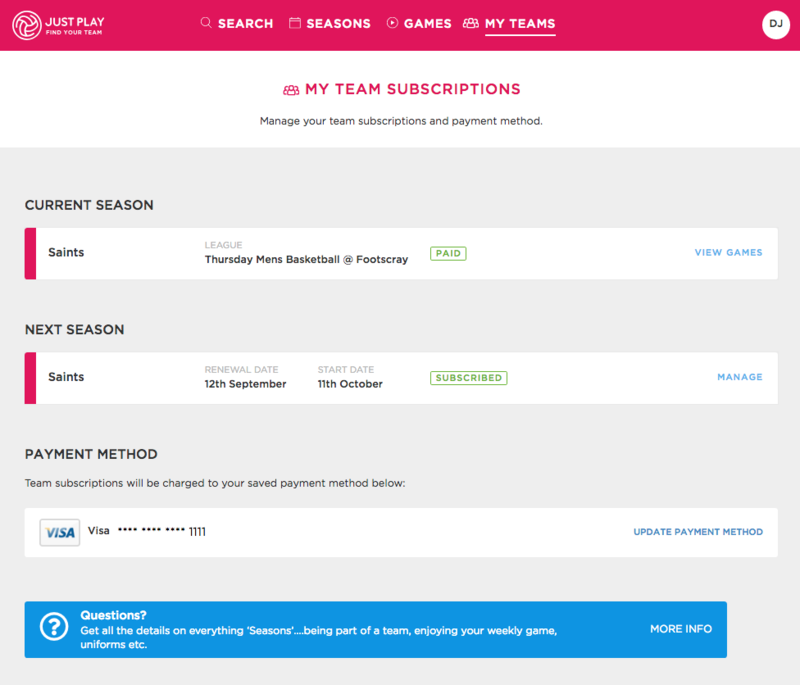 Just choose the appropriate option of the two when you cancel your team subscription. Want to cancel but having technical issues? No worries, just send us an SMS or email by 10am the day before your subscription renewal date and we will cancel on your behalf. As far as teams continuing playing goes - as an FYI approximately 90% of our teams continue playing from one season to the next. Within these teams, an average of 75% of players continue and we will then just add 1 or 2 new players if required (or add nobody if the whole team continues). For those competitions that run 16+ weeks we also split the season in to part one and part two for the purposes of registration (Read about split seasons here). Got a more complicated question? Or want to play again but swap nights, swap venues, swap divisions - we can definitely help. 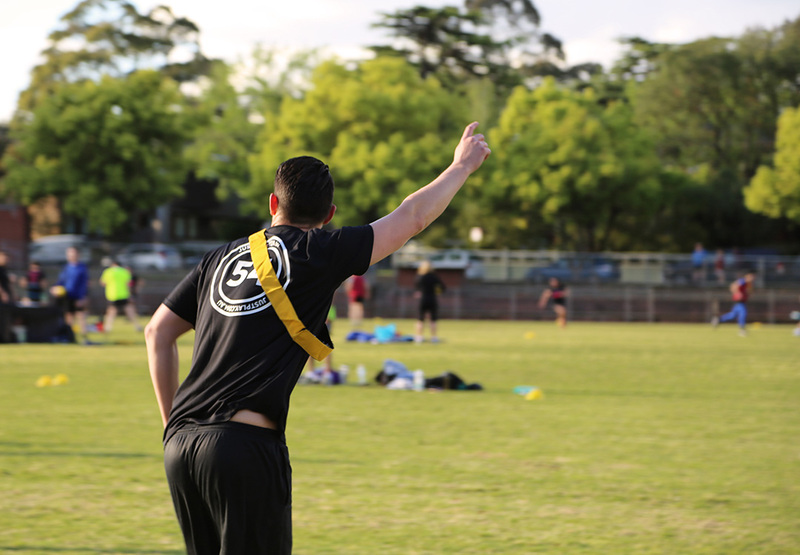 Just search a league via your dashboard and register away, or shoot us a message if you've got questions and we can give you the down low.